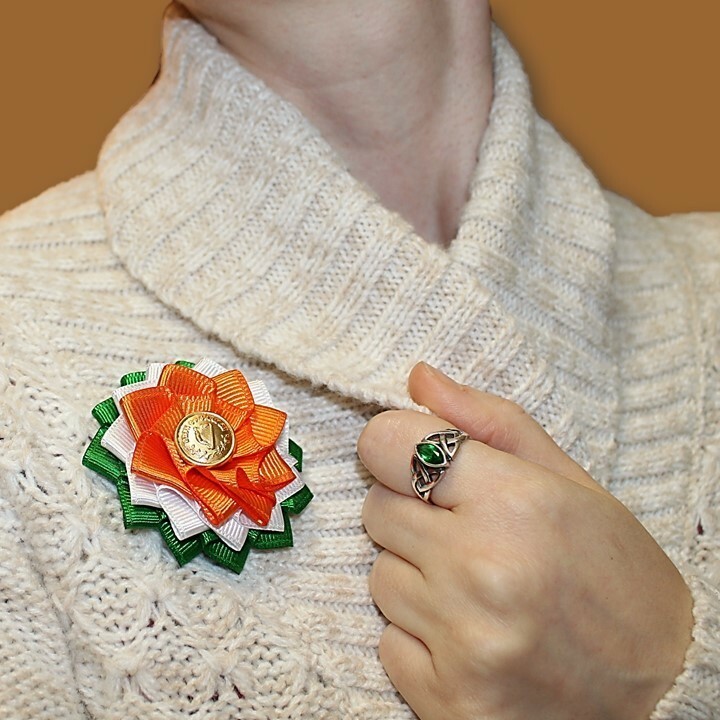 In Ireland's history, Protestant Irish wore orange cockades and Catholic Irish wore green cockades - until the Easter Rising in 1916 when the two colors were paired with white, a symbol of peace between the factions. For more history on Ireland's colors, CLICK HERE. Grosgrain ribbon, reproduction Harp of Erin button, hand-sewn to buckram backing. Approximately 2.5" (6 cm) across rosette. Pin on back is silver-plated and 1" (2.5 cm) wide. Choose your color combo!